The Carnival of Debt Reduction is a weekly compilation of the week’s best posts on personal finance. This week, the Carnival was hosted by Prime Time Money and compiled posts related to the new credit card law, which AFFIL strongly supported. Prime Time Money lists some of the law’s provisions and links to posts which cover a range of related topics. The comments at the Carnival picked up on a theme I’ve noticed popping up ever since President Obama signed the bill: skepticism that the law will actually curb the industry. A lot of people seem convinced that somehow the industry will find ways around the new rules and continue business as usual. After years of the industry running roughshod over consumers, it’s easy to understand where this perception comes from. However, there have never been substantive laws governing the industry before—pretty much everything was fully legal—and regulation does have real impacts in other arenas of consumer protection like food and drugs. It’s worth giving the new law a chance before concluding it won’t work at all. The gloom and doom may also be in response to the industry’s threats to raise rates on everyone, bring back annual fees, and—most ominously—obliterate grace periods. The main point of this industry rhetoric was to scare Congress away from legislating, which didn’t work. In reality, it’s against the industry’s interests to actually do away with grace periods, and I’d be shocked if they actually do it. (And certainly, nothing in the law requires them to.) The bigger problem are the nine more months of “anything goes” until the major parts of the law go into effect on February 22, 2010. 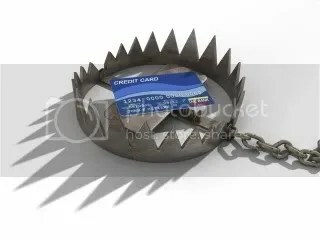 If your credit card company ramps up its predatory behavior during these intervening months, please let us know! No matter how the industry responds to the new law, there will be gaps in oversight of both credit cards and the wider industry. See the bottom of this previous post for info about the unfinished credit card business that remains. A recent editorial from USA Today suggests that the best way to deal with the larger problems in the entire consumer finance industry is the creation of a Financial Product Safety Commission (FPSC), another idea we’ve been championing. As the editorial puts it, oversight of banks is currently “splintered across an array of agencies that tend to treat consumer protection as a stepchild.” An FPSC would consolidate oversight and make consumer protection a priority. Stay tuned for more on this exciting policy prospect.